There’s no better way to experience the culture of a region than by sampling its cuisine inside local restaurants, pubs and breweries. Virginia’s Blue Ridge offers visitors a wide array of fine dining, historic ‘hole-in-the-wall’, bucket list chef’s pairings, award-winning local craft breweries and more. The region’s restaurant scene is alive and well, with a renewed focus on fresh, locally sourced ingredients. In fact, many of the best meals begin inside our area’s farmers markets. 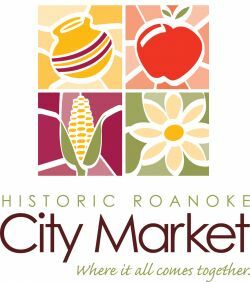 Easily accessible from the airport, Historic Roanoke City Market is the oldest continuously operating open-air market in Virginia and serves as the perfect introduction to the region’s locally grown foods. Not to be outdone, the Blue Ridge Beerway features some of the finest craft beers in the nation. Anchored by two brewery bigwigs, Deschutes Brewery and Ballast Point [opening 2019], and sustained by the region’s long-standing, locally owned craft breweries, the Virginia’s Blue Ridge beer scene is as strong as the IPAs, lagers and stouts it produces. Want to experience it all? Give this Food & Drink itinerary a try on your next trip into ROA or book a guided foodie tour with Tour Roanoke.